Your smile is one of the first things that someone notices about you, and a missing tooth or multiple teeth can put a damper on that first impression. Dental implants are artificial tooth roots used to support a restoration for a missing tooth or teeth, helping to stop or prevent jaw bone loss. By replacing missing tooth roots, dental implants provide people with the strength and stability to eat all the foods they love without struggling to chew. Dental implants can also stimulate and maintain jaw bone, preventing bone loss and helping to maintain facial features. With a visit to your dentist in Charlotte NC, you can find out if you are a candidate for this smiling saving procedure. Osseointegrated implants are the most commonly used and successful type of dental implant, taking anywhere from three to six months to anchor and heal. Once healed and anchored, your dentist in [City] can complete the procedure with the placement of a crown. As soon as the implant has anchored with the jawbone, artificial prosthesis may be attached and the process is completed. 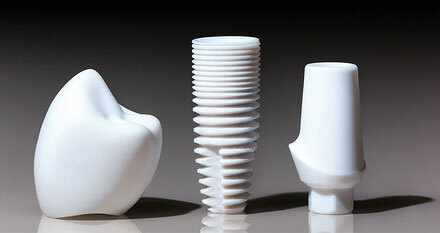 If osseointegration does not occur, the implant may fail. Not everyone is a good candidate for dental implants. If you’ve lost one or more of your natural teeth, it’s possible to continue to live confidently with dental implants from your dentist in Charlotte NC at A Smile 4U Family Dentistry. They look and feel exactly like your natural teeth, and unlike conventional restoration solutions, implants can last a lifetime. Want to know more about dental implants? Call A Smile 4U Family Dentistry in Charlotte NC today to set up a consultation! (704) 549-1199.